Today is the tenth anniversary of something very, very sad. 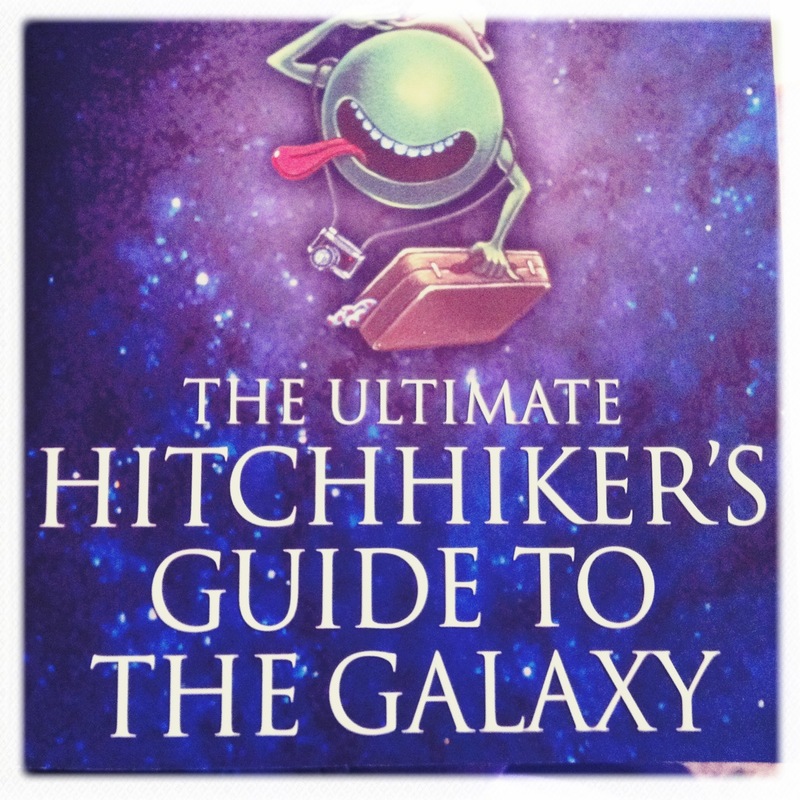 First, a passage from So Long, and Thanks for All the Fish, the fourth of the five The Hitchhiker’s Guide to the Galaxy novels (a.k.a. “a trilogy in five parts”). The girl referred to here is Fenchurch (a minor character, but one that I adore), with whom Arthur Dent is madly in love, and who first appears in the beginning of The Hitchhiker’s Guide to the Galaxy (“…a girl sitting on her own in a small cafe in Rickmansworth suddenly realized what it was that had been going wrong all this time, and she finally knew how the world could be made a good and happy place. This time it was right, it would work, and no one would have to get nailed to anything. Sadly, however, before she could get to a phone to tell anyone about it, a terrible, stupid catastrophe occurred, and the idea was lost for ever.”) and next in the beginning of So Long, and Thanks for All the Fish (where the above-quoted passage is repeated (slightly altered in places), with the addition of “This is her story”). For Arthur, who could usually contrive to feel self-conscious if left alone for long enough with a Swiss cheese plant, the moment was one of sustained revelation. He felt on the sudden like a cramped and zoo-born animal who wakes one morning to find the door to his cage hanging quietly open and the savanna stretching gray and pink to the distant rising sun, while all around new sounds are waking. On this sad anniversary it is nice to remember Douglas not only for his books, his humour, his warmth and charm, but also for his philosophy and his delight in explaining how an (extra)ordinary Church of England public school boy came to embrace atheism as the only sane choice. We miss you, Douglas. Your voice would be welcome in these crazy times. Dear Mr. Adams–how we miss your voice. But you can listen to his last lecture– based on ‘Last Chance To See’…it’s been put up by TED. Thanks for reminding everybody, Miranda.